I normally don’t jump to a concluding point in the beginning, but I feel this needs to be stated. Unless you are running multiple graphics cards or plan to in the near future, there is no need for you to own this power supply. You’re not Sparkle’s demographic for this product. 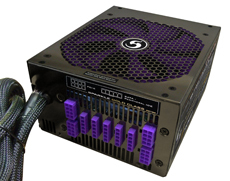 This is not something to put in your mother’s rig, unless mom is rolling on quad GTX 480’s and fits in a few rounds of TF2 and Crysis after dropping little Jimmy off at soccer practice. However, if you, like ourselves, feel the need to be on the bleeding edge of tech and performance, then this review will be of great relevance to you.